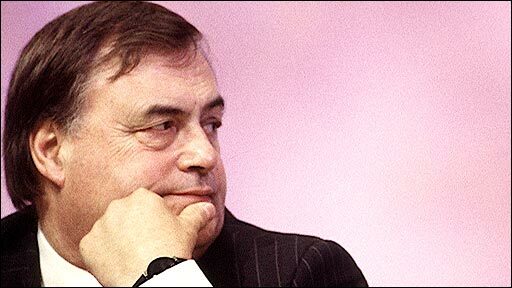 Former deputy prime minister John Prescott has confessed to suffering from the eating disorder bulimia. He writes in the Sunday Times that he would gorge on food and then vomit. Mr Prescott explains how he could "sup a whole tin of condensed milk", eat trifles "for ever" and eat through a Chinese restaurant's entire menu. The 69-year-old told the BBC: "I never admitted to this out of the shame and embarrassment. "I found it difficult as a man like me to admit that I suffered from bulimia - the doctors told me that it was probably due to stress. "I eventually managed to control it and to stop it a few years ago." Mr Prescott emphasised part of his motivation for the revelation was to de-stigmatise the illness and encourage others to seek help. He said: "I want to say to the millions of people, do take advice, it can help and it can help you out of a lot of misery that you suffer in silence." He writes in the Sunday Times: "People normally associate it with young women - anorexic girls, models trying to keep their weight down - or women in stressful situations, like Princess Diana." 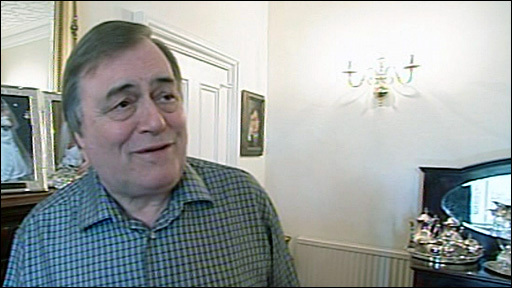 Health experts praised Mr Prescott for his confession. Susan Ringwood, chief executive of the eating disorders charity Beat, told Radio 5 Live that bulimia was not only suffered by young women. She said: "We do know that an eating disorder can affect anyone at any age, it isn't just young girls, it's boys and men as well, so in that sense it wasn't a surprise. "And neither was it a surprise that someone felt they really needed to keep this a secret, and even say they felt ashamed of themselves. "And that feeling can stop people getting help." Consultant psychiatrist Dr Ty Glover, an eating disorders specialist at Cheadle Royal Hospital in Cheshire, said: "It's hard enough for a young girl to confess to, but for a high-profile male politician approaching 70, it's especially impressive. "It seriously makes me think that maybe we're completely missing a whole audience of middle-aged men who are too scared to admit they have a problem." Dr Glover said one in 10 sufferers were male and that Mr Prescott's brave admission should encourage other men to seek help. Mr Prescott, who stepped down from Labour's front bench last year after ten years as deputy PM, said people would never suspect he suffered from the disorder and that some could accuse him of not being "a very successful bulimic" because his weight did not drop. He said he began binging and vomiting during his years in the shadow cabinet in the 1980s, but the condition got worse when Labour came to power in 1997. "So what I did was stuff my face with anything around, any old rubbish, burgers, chocolate, crisps, fish and chips, loads of it, till I felt sick - but at least I'd had the pleasure of stuffing my face and feeling really full. "Then there would be a weird kind of pleasure in vomiting and feeling relieved." He continued: "I could sup a whole tin of Carnation condensed milk, just for the taste, stupid things like that. Marks & Spencer trifles, I still love them, one of my favourites. I can eat them for ever. "Whenever I go to Mr Chu's in Hull, my favourite Chinese restaurant in the whole world . . . I could eat my way through the entire menu." He speaks of trying to hide his bulimia from colleagues and his wife, Pauline. "I thought, of course, I was being clever, and no-one would ever know, but Pauline realised in the end. The signs in the toilet gave it away, and all the missing food." Seventeen years ago Mrs Prescott persuaded her husband to get help from the House of Commons doctor and he was sent on to a consultant. "I turned up and found his waiting room full of young women. I was the only man there. I felt a right twerp. Luckily none of them shopped me to the press. "Perhaps they thought I was on a fact-finding mission, never for one moment thinking that a man of my age and build could be suffering from bulimia nervosa, but that's what the consultant said I had." He received treatment, but he continued to be bulimic when he became deputy prime minister in 1997. But now he says he has not suffered from the disorder for a year and exercises in the gym for 45 minutes a day. "My weight, though, is still over 15 stone - as I do love my food - but I try not to snack between meals and to eat at sensible times." Mr Prescott, who also has diabetes, is now supporting the National Health Service's awareness campaign on food disorders.